MoGASP applauded St. Louis City when it showed no favoritism in enforcing it’s smoke-free air law by fining the storied Missouri Athletic Club (MAC), as reported on February 10th, 2011, not long after the act went into effect on January 2nd. The MAC’s response was continued defiance. And it seems to have paid off with a disappointing show of spineless behavior on the part of Mayor Slay’s administration. This is yet another example of wealth trumping health when it comes to smoking (another being the casino smoking exemption), especially it seems when it involves those favoring cigars, as suggested by the Post-Dispatch’s photo accompanying the story below by reporter David Hunn. ST. LOUIS • Smoking will indeed be allowed at downtown’s aristocratic Missouri Athletic Club — despite city law expressly barring it in private clubs with employees. As expected by some and feared by others, health director Pam Walker has dismissed the city’s charges against the gym and social club, following a MAC board decision to limit smoking to seven areas. The club has flouted the law since it was enacted Jan. 1, 2011. Attorneys, judges, businessmen and politicos gathered frequently for evening cigar-and-whisky sessions, and ashtrays were commonplace even after voters passed the citywide smoking ban. Walker fined the club twice, and was pushing it to bar smoking building-wide. The club fought the tickets, however, and city attorneys advised the health director to consider settling, fearing the MAC would sue and challenge the city’s entire ordinance. Then, in late August, the club’s board voted to limit smoking, according to board documents released Friday night by Walker. 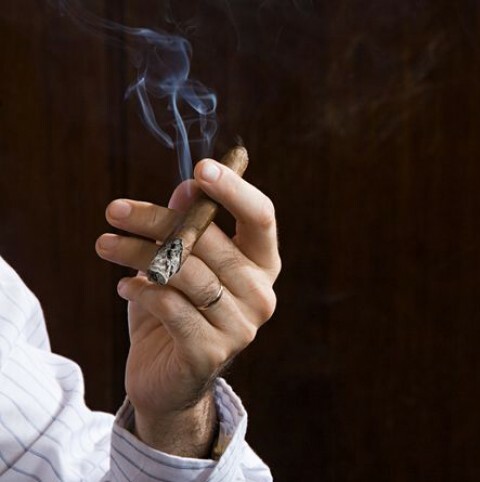 The rule limited smoking to the President’s Alcove, some private second-floor dining rooms, sections of the pool deck, and the first-floor Jack Buck Grill’s bar, site of the weekly cigar gatherings. In addition, smoking will be allowed in no more than 20 percent of the club’s hotel rooms, and at five yearly events in the Art Lounge and Missouri Room. “Members are urged to use good judgment when smoking cigars in those areas of the club where smoking is permitted,” the ruling says. Club leaders have long declined to publicly discuss their decisions. Walker said she accepted the club board’s decision and dropped the case against the club, in exchange for payment of $48.50 in court costs. “I will carefully monitor their enforcement of these restrictions and issue further summons if they do not comply,” Walker said Friday night via email. But even those who fought against the citywide ban were skeptical today of the special treatment. “Why not ‘over 21’ bars then?” he asked. Hannegan said he spoke with a professor at Boston University who specializes in tobacco control issues, who said he had never heard of a public health official rolling back a smoking ban. Walker has long said she felt stuck between a rock and a hard place. So the stage is now set for all the other bars and clubs in the area to offer Walker THEIR decisions on how they’ll regulate smoking and she’ll accept those as well? Sounds like a reasonable arrangement to me… though I’m guessing MoGasp won’t agree. MoGasp, I understand your position about wanting to protect the employees, but in all of your work in this area have you ever actually tried to take a neutrally worded survey of bar and private club employees (excluding those not actively exposed to smoking) to see what THEY wanted? And I”m not talking about 2/3/5 years after the fact when many of the original workers may have been laid off or quit due to reduced income, but employees previous to a ban or during the year after it comes in? Shouldn’t employees have the right to make such job choice decisions themselves? Odd. The entire nation of The Netherlands staged a massive ban rollback for small pubs after they resisted on a large scale, and the Minister Of Health indicated she approved. Of course the antismoking activists over there immediately began a campaign for her ouster, dubbing her “The Minister Of Death” — which partially explains why so few in health fields ever criticize bans no matter how ridiculously extreme they might be. Think about it: even if you’re just a simple neighborhood doctor who gets quoted in the press expressing reservations about part of the tobacco control agenda you might find that 5% of your patients were rabid Antismokers who’d begin a campaign to convince all their friends, maybe another 25% of your patients, to switch to another doc. Would you take that risk?